I’ve written a bunch of Game of Thrones articles over the years. Like, over 160. Counting is hard. Rather than make people search through my blog for them (as if you would) I am making them available on this page for handy reference. Oh Goody! Father is handy too! He’s the Hand of the King! Because I’m breaking them into categories, some articles might fit into more than one. I’ll handle that somehow. Some of the posts have backup supporting materials that I included on my secret double-probation backup supplemental blog, where I’d put a lot of spoilery and way-too-verbose details. I’ll be displaying them here as well. Thoros of Myr: Should I Know Who This Guy Is? Why are We Rooting For the Starks? Sansa and Sandor. Uh. What? Bronn: Loveable Rogue or Unreliable Cutthroat? Tywin Lannister – Did I Make This Up? In Defense of Balon Greyjoy. Wait, What? The Sand Snakes: Go Go Dornish Rangers! Who Hasn’t Eaten Crow, Now and Thenn? Thenns: Free Folk or Free to Eat Folk? The Wall! Huh! Good Gods, Y’all! What is it Good For? Where are the Others? Are they LOST? White Walkers and Wights: Not Watertight? Wights, Wards, and the Wall. What’s Up With That? Final Relections on Season 5 Reflections on Season 2. Yes, I Said Reflections Twice. Three Times. Can We Hear About Something Other Than Castamere’s Weather? Or Bears? Game of Thrones: Thanks? Thanks! Arya Sure That’s How It’s Pronounced? Orcish Views on Unbent, Unbowed, Un- OH MY SAURON!!! Game of Thrones: You Win or You Die. Unless You Die And Still You Win. Image from HBO’s Game of Thrones, obviously. wow, that’s some pretty good organization. My God I’ll be going through all of these!!!!!!!!!!! Yay! I look forward to your feedback. Thank you! They’ve sat on there bridge for 600 years, become mega rich, and in return, everybody hates them. Just because they were smart enough to build a bridge. So, for their ‘treachery” (which I suspect was really just a result of decades of Walder Frey’s frustration being released), everybody hates them even more. Uhhhh…..,so a Defense of the Freys? House Frey defense? I’d hate myself! Uh, I might be able to do something in line with my Craster defense… it would not necessarily be as rigorous as you are suggesting. Yeah, I guess fair enough. Jaime’s aunt was pretty awesome. But she wasn’t born a Frey, right? She married one, but she was born a Lannister (I think). A defense of Craster? Sounds good to me! 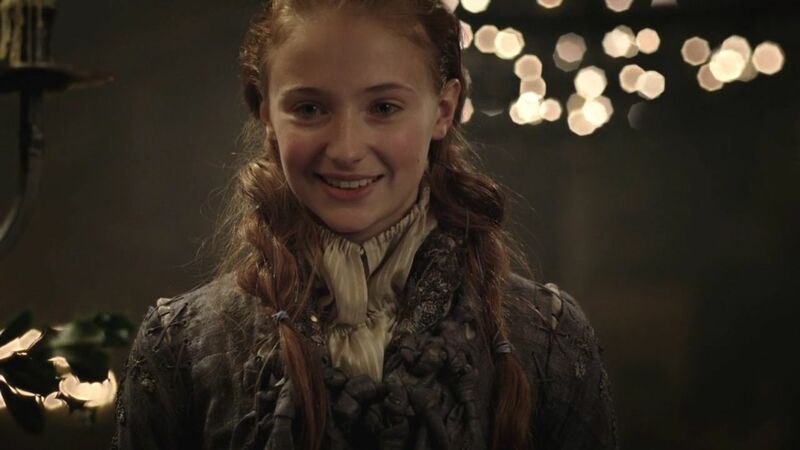 But don’t count me out yet… I might do something about the Freys. Oh, my Craster defense is under the Wildling category… that Craster. He’s a godly man! Oh, this is amazing! More than enough to fuel some GoT obsession while I wait for season 6, or book 6 (whichever comes out first). Keep it up! Thank you so much for the feedback, I very much appreciate it. Cheers! Thank you for linking to my stuff, you! Hi! Remember me? I complained on my blog that EW had a major spoiler on its cover re John Snow. I appreciated your reply. I binge watched GOT until I caught up to this season, about two or three weeks ago. I love how you separated your blog pages into spoilers vs. nonspoilers. Thanks for that! Barbara, thank you for the comment! I do remember your post about EW talking about Jon Snow and giving away the surprise for you. I’m glad you got caught up with the past seasons and this one, I am always a bit envious of people who got to experience the show all at once without the week wait in between shows, and the 9.5 months in between seasons. Best regards, and I hope you can avoid spoilers from here on out. It was very nice hearing from you. Thank you so much! I’m pleased you like it, Septa. Seven blessings to you! Holy cow! That’s a lot of writing. I’m waiting for someone to start up a podcast about my body of work. Thanks man! A comment so nice, you submitted it twice! Thanks, The Duke! The Unofficial GoT Christmas Album, from House of Snark! Joel, I am a fan of projects and creative efforts like this, so I will be happy to check it out. Cannot agree more. I have been writing recaps for every season as well. Would mean a lot if you can check those out and let me know your thoughts!